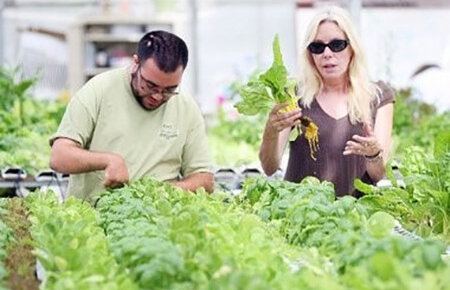 Teaching employees how to grow, harvest and sell produce: Participants work 8 to 20 hours a week in a three-tier, 200-hour program that trains them in hydroponic agriculture and also teaches invoicing, ordering, shipping, and interacting with customers. Each trainee is paired up with a volunteer or staff for training and mentoring. Helping the trained completers to find work elsewhere using their skills and manage their own the labor market opportunities.